Many artists focus on using sci-fi ideas and creating worlds informed by their culture and experiences. George Takei is likely the most high-profile Asian American to appear onscreen in a starring sci-fi role. 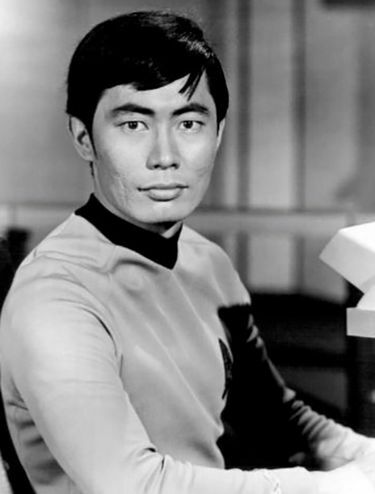 Takei starred as Hikaru Sulu on the “Star Trek” TV series, in addition to six feature films in the franchise. Although Asian Pacific Americans remain underrepresented onscreen, they play a significant role behind the scenes — most notably as writers, designers and artists. Last October, Wing Luke Museum of the Asian Pacific American Experience opened an exhibit titled “Worlds Beyond Here: The Expanding Universe of APA Science Fiction.” It runs through September 15 and focuses on the important roles Asian Pacific Americans have played in shaping sci-fi as we know it. It includes a replica of the “Star Trek” bridge, and some of Takei’s memorabilia, but many of the unsung heroes featured in the exhibition hail from the Seattle area and the Pacific Northwest. Burrington created an alien landscape mural that touches on the theme of how Asians relate to sci-fi. Some immigrants feel a connection to the alien stories in classic sci-fi, leaving home and traveling to a new planet where you don’t quite belong. Others reject the idea that they are “aliens” and don’t want to be portrayed that way. This diversity of viewpoints is an important part of the exhibition experience. Many artists focused on using sci-fi ideas and creating art through an Asian Pacific American lens. 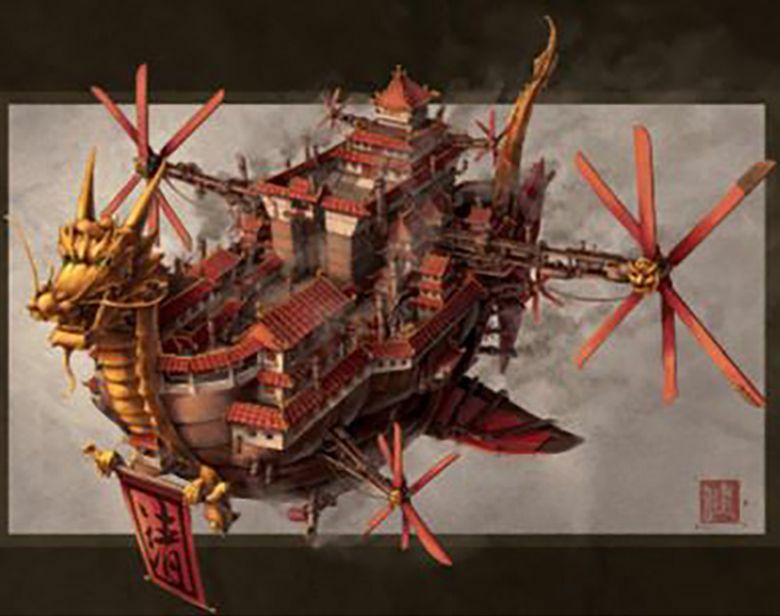 “I was excited about the challenge of taking sci-fi/fantasy ideas and manifest it in a concrete, artistic form through an Asian American lens. 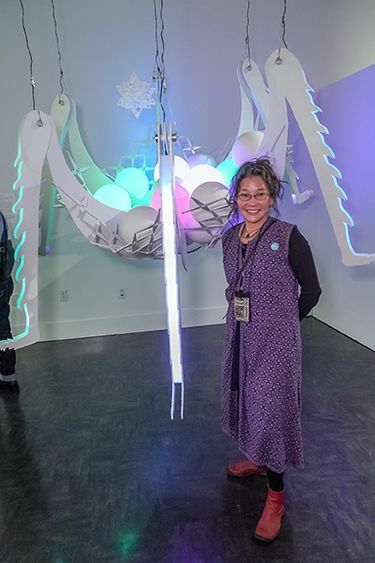 I used the word coined by author Ken Liu, ‘Silkpunk,’ to guide and inform elements of my hanging sculpture,” says June Sekiguchi, another local artist whose work is showcased in the exhibit. As evidenced by the number of Asian Americans who work behind the scenes to make sci-fi the massive success it is today, the community has a far greater impact on the genre than is visible on the surface. Exhibits like “Worlds Beyond” offer context and a glimpse into the worlds they help create. 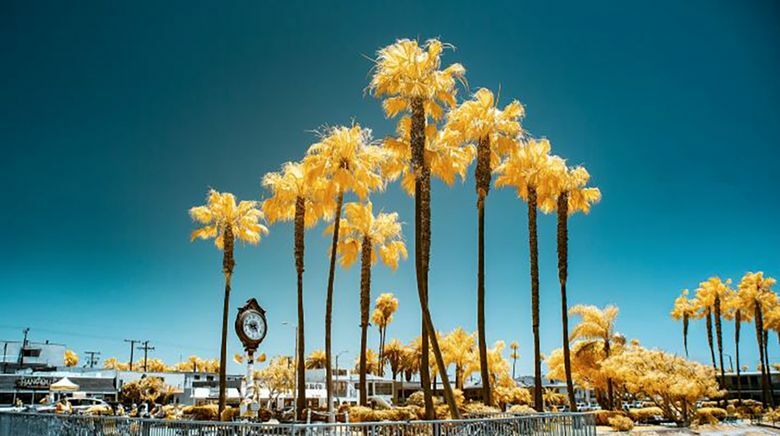 The Wing Luke Museum’s mission is to connect everyone to the rich history, dynamic cultures and art of the Asian Pacific Americans through vivid storytelling and inspiring experiences.